We chat with filmmaker Shawn Anthony, CEO of the innovative genre distribution company Harvest Moon Motion Pictures & Television. Shawn Anthony is a modern day Renaissance Man — multilingual, polite, musically inclined, and just so well versed in many different arenas. He has worn the hat of everything from Director to Actor, and everything in between on numerous film sets. He’s also a gifted writer. What makes all of this even more impressive is the fact Anthony has pretty much learned all of this ‘on the job’, or sometimes self taught. He didn’t attend a fancy film school, having to survive classes like Film Theory, or the History of Motion Pictures. It’s as if Shawn was born to entertain and embraced this relatively early on in his life. Before his current role at Harvest Moon Motion Pictures & Television, before directing and writing films, Shawn was a stage magician. Yes, you read that correctly. A very talented stage magician, too. In 2010, at the Houdini Awards, he was named Stage Magician of the Year and won Best Vegas Show for the Las Vegas Magic Underworld Stage Show. Shawn enjoyed his success in magic, but unfortunately he also noted the decline in ticket sales for stage shows. Wanting to continue in Show Business, he remembered what other magicians did — such as comedian Steve Martin — an ambitious switch to the world of film. The Harvest Moon Vimeo channel boasts a ton of great content, including trailers, shorts, and feature films. One of the must-see programs available on the Vimeo channel is Tales of Horror, a horror series that seems to have lovingly tried to fill that void left after the conclusions of Tales From The Darkside and Tales From The Crypt, with appearances by legends like Tom Holland (Child’s Play, Fright Night) and Doug Bradley (Hellraiser). Hosted by the very alluring Jessica Felice as Lilith Death, we are transported to her library of Terror as she reads from the Book of Nightmares leading into one terrifying story after another. Season one of this thirteen episode season is well underway. Not only does Shawn Anthony overlook all of this, he also runs SQ Horror Magazine, which had its inaugural run in March of 2016. 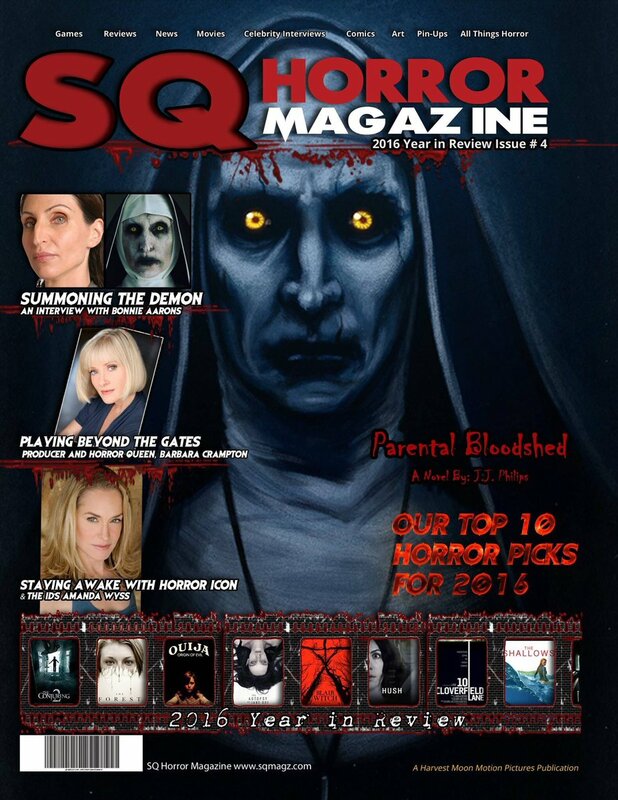 Some of the covers of the magazine feature Bonnie Aarons (The Conjuring 2), Lisa Wilcox (A Nightmare On Elm Street franchise) and the Soska Sisters (American Mary, Hellevator). If you notice a theme of talented and successful females adorning the magazine covers, you’re not mistaken. Anthony really champions ladies in the genre, enjoys collaboration with the women of Horror, and absolutely loves to create strong, independent, complex characters for actresses to take on within his own films. Shawn’s debut film, SoulMate: True Evil Never Dies, took home 7 awards, including Best Director, Best Cinematographer, Best Actress (Jessica Felice), Best Supporting Actress, Best Actor, Best Horror Film, and Best Script. He not only wrote and directed the film, but also did the music, cinematography, and editing. He also caught the attention of many convention and genre film fest goers with the run of the film, which earned himself, leading lady Jessica Felice and Harvest Moon some new fans. It appeared to be an ode to Anthony’s confessed fascination with period pieces, history, and true crime. In SoulMate, Jack The Ripper appears to be a practitioner of the Dark Arts, seeking immortality by offering human sacrifices in 1888 London. Coming back from the dead, Jack begins terrorizing a small town, leaving police baffled. Desperately looking for answers, they ask for help from a local psychic named Katie. But, as her connection to the case grows stronger, people in her life begin to tragically die. Surprisingly, 11 scenes were cut from this movie, but it still has a running time of over two hours. Following the success of his debut, he decided to quickly add to his resume with another multiple award-winning feature, Vampires: Rise of the Fallen. And he obtained some well-deserved notoriety after the two fright flicks. 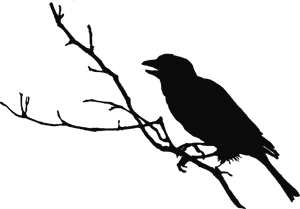 Shawn has worked to earn quite an extensive list of directing, writing, and cinematography credits. With such a versatile resume, I ask Shawn which of his many creative talents is his favorite. “Writing is my favorite, then directing” he says without a doubt. Recently, Shawn teamed up with one of his favorite actresses, Jessica Felice, along with filmmaker and gifted editor, Jennifer Valdes, to create the stunning short Laid To Rest. Shawn also served as Director of Photography on the film. I note his many collaborations with females in many different facets of filmmaking and with Harvest Moon itself, not to mention his own creations. “When I was growing up, my best friend was a girl, and it always made me think about the flawed journeys for the ladies within stories. Women’s mysteries are amazing, and the range they possess…,” explains Anthony. 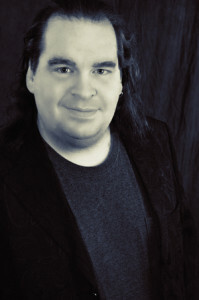 Shawn is incredibly easy to chat with, humble with a true passion and love for movie making, entertainment, and connecting with people. Creative challenges are something he enjoys. Shawn and I, through our chat, learned we both have a soft spot for the Star Wars franchise and all the collectibles which accompany the space opera. “You know, playing with action figures, setting them up and making them interact with each other is a precursor to laying out a scene for a movie” he says. It does make perfect sense if you think about it, and this statement made me fondly reflect on my times as a kid, constantly playing with said action figures. 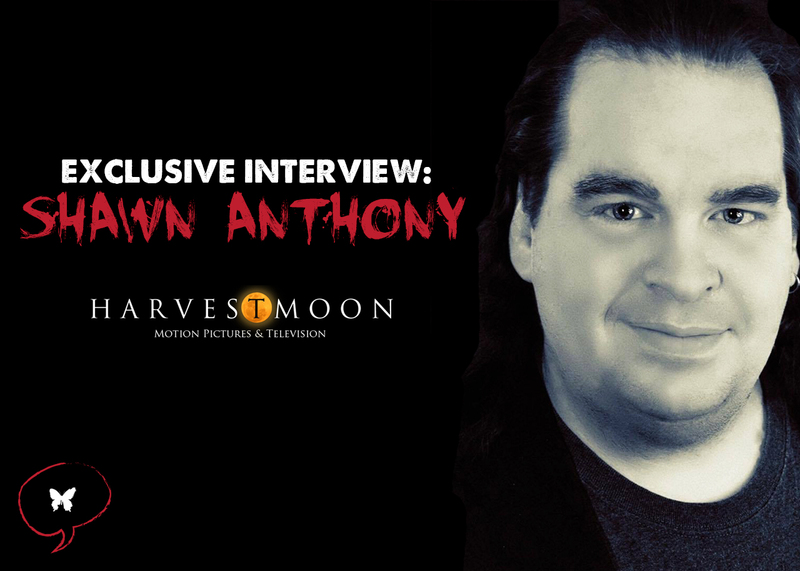 2017 looks to be a huge year for Shawn Anthony and Harvest Moon, as the talented filmmaker and CEO has numerous exciting projects in the works. Shawn is currently working on a series entitled Converge, which documents the Horror Convention circuit and culture, capturing the epic experiences had by the fans, promoters, and legends alike. My heart kind of swelled at this venture, because I know how deeply special these Cons can be to some people. I’ve seen it and experienced it myself. There is nothing like meeting a hero of yours and having them be so pleasant, so engaging and most of all, so thankful. I see where this series has such potential to be a huge hit. He’s also working on a highly anticipated, much buzzed about new feature film called The Possessed with some exceptional women in horror, including Jessica Felice, Lisa Wilcox, and Tamara Glynn. Filming is set to begin in The Big Easy this month. Keeping with his affinity for the Supernatural, Anthony wrote a not-so-average tale of Good vs. Evil tale set in the historical and notoriously haunted city of New Orleans. Ruby Blackwood is a complex, sassy and sarcastic private detective portrayed by the stunning Jessica Felice, with a very demonic secret — she is a Symbion. This means she is simply a human vessel for the demon that resides within her, and soon a war is raged to win her soul and body, allowing the ancient evil entity with nefarious plans to walk amongst us here on Earth. The Possessed packs some genre punch from the get go, featuring some fan favorites in key roles. The absolutely stellar ensemble cast includes Ricco Ross (Aliens, Wishmaster) as Louis Laveau, Bonnie Aarons (The Conjuring 2) as Lorraine Blackwood, Lisa Wilcox (A Nightmare On Elm Street 4 & 5, Fear Clinic) as Savannah, Tamara Glynn (Halloween 5) as Dr. Tabitha Lavey and Jason Lively (National Lampoon’s European Vacation, Night of the Creeps) as Brian. When I spoke with Shawn, he was already down in Louisiana, busy with pre-production work and soaking in the sights and feels of the city. He is very excited to get this picture underway, which has an anticipated Halloween 2017 release date. He feels real confidence in his team to bring his dark vision to fruition. I asked Shawn if he has had any paranormal experiences in his life, which may explain his fascination with the Supernatural in his films. He revealed that, yes in fact, he has. He grew up in the South, Charleston, South Carolina. As a boy, he had multiple encounters with some things not from this plane of existence. Those experiences helped fuel his curiosity of the unknown, perhaps creeping into various story lines he has created. Shawn Anthony is a creative and well rounded fellow, with high aspirations for himself, his actors, and Harvest Moon. He is someone who embraces the genre and genuinely feels the fans of Horror are some of the most “empathetic and deep thinking people out there.” His taking on Harvest Moon was no mere coincidence. It could just become a leading source of genre based entertainment that horror fans will embrace and enjoy for for many moons to come. I want to sincerely thank Mr. Shawn Anthony for his time and graciousness during our incredibly insightful chat. I personally am beyond excited to see what’s next for this talented filmmaker and entrepreneur. Be sure to stay tuned to this site as we bring you more exciting news and updates from Harvest Moon and its upcoming genre releases. Beer snob, lover of Gore, fanatical with French and Japanese horror, die hard Kubrick fan, true crime enthusiast, generally useless unless needed on a trivia team...champion of Women in Horror!